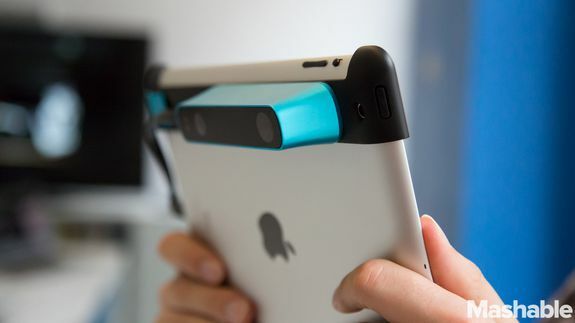 This Gadget Turns Your iPad Into a Powerful 3D Scanner - trendistic.com: ever tried. ever failed. no matter. try again. fail again. fail better. 3D printing is an incredible technology, although it requires detailed information about the objects you want to print. For most people, this is a big limitation — it’s not like every phone or tablet has a 3D imaging camera. Enter Occipital. The Structure Sensor is an oblong metal object that attaches to an iPad with a special bracket. It works with apps specifically designed to use the sensor to scan and capture 3D information about an object or environment. You can use the sensor for a wide range of tasks — from object capture to augmented-reality games.